Vital Images was founded in 1988 by Vincent Argiro, Ph.D., based on a radical idea and a genuine dedication to customer advocacy. From countless hours meeting with physicians to better understand their needs, Dr. Argiro developed a revolutionary medical imaging application and, in turn, built Vital. What began as a company focused on advanced 3D medical imaging, with a product offering of single workstations, evolved to include multi-user workstations and rapid, enterprise-wide access to images on computer desktops and mobile devices. This industry-leading move towards personalized viewing is at the heart of Vital’s customer-centered approach to medical imaging. Maintaining the role of customer advocate, Vital recently expanded its solution-set to offer non-disruptive, vendor-neutral platforms to promote collaboration within hospital systems, helping to improve data management, workflows and resource planning across facilities and proprietary systems. This customer-centric, modular solution enables healthcare organizations to deliver interoperability without disrupting existing IT investments. As Vital continues to develop modular enterprise solutions to help hospital systems provide care more efficiently, we look forward to building on the values that Dr. Argiro instilled in the company more than 25 years ago. 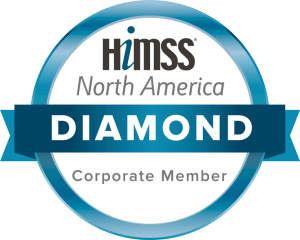 Our goal is to serve as customer advocates to help you improve outcomes – for your patients and your organization, reduce complexity and promote collaboration across departments and facilities. As we initiate the Vital blog – HIT Hub – it’s our hope that it will be a useful tool in continuing the conversation with you and help us remain true to Dr. Argiro’s vision of Vital’s role as customer advocate.